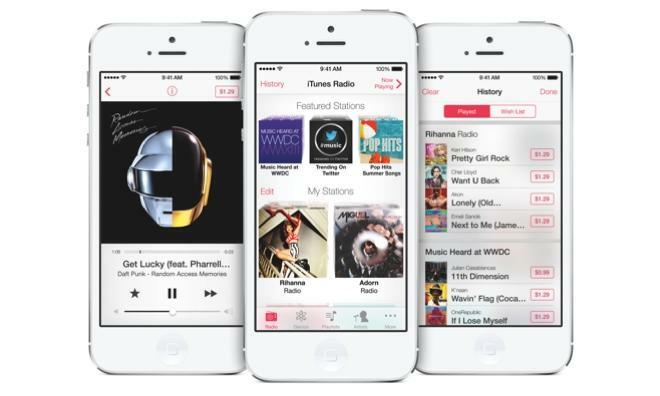 Apple's much-anticipated "iRadio" was announced by the company at WWDC on Monday under the name "iTunes Radio," offering free streaming Internet radio to users across all major platforms. iTunes Radio will be part of Apple's forthcoming iOS 7 mobile operating system, but it will also be accessible on Macs, Windows PCs, and even the Apple TV set-top box. "iTunes Radio is an incredible way to listen to personalized radio stations which have been created just for you," said Eddy Cue, Apples senior vice president of Internet Software and Services. "Its the music you love most and the music youre going to love, and you can easily buy it from the iTunes Store with just one click." 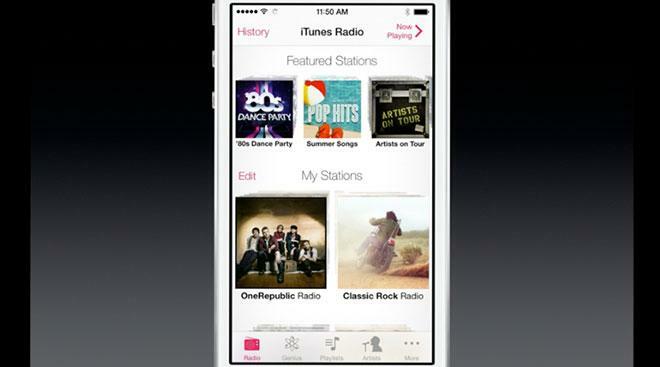 iTunes Radio will be free for all users with advertising support. Those who subscribe to iTunes Match for $24.99 per year will be able to listen to iTunes Radio content ad-free. Demonstrating iTunes Radio at Monday's Worldwide Developers Conference keynote, Cue showed how he could play individual songs or search an artist's name. In an onstage presentation, Cue started a radio station based on legendary rockers Led Zeppelin, with the ability to like or dislike individual tracks, while the application also includes quick links to buy songs from the iTunes Store. iTunes Radio will offer listeners access to thousands of new songs every week, and will also serve up exclusive music from new and popular artists first. iTunes Radio will also be home to special events including live streams direct from the iTunes Festival in London and other exclusive iTunes Sessions. When it debuts this fall, iTunes Radio will offer a personalized experience based on listening history and past purchases from iTunes. Like with Pandora, users can automatically have a station built around a song or artist they enjoy.